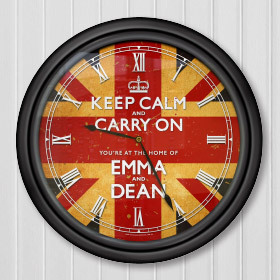 Keep calm and keep on time...with this very British clock! 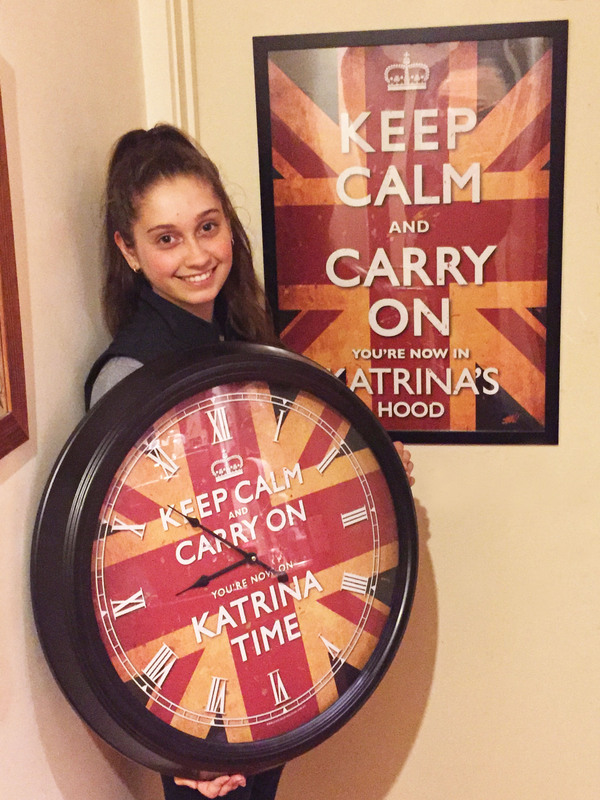 . . Dear Kisschasey Posters, Thank You so much for my Keep Calm wall clock! It looks fantastic and fits so well with the poster you did for me last year. 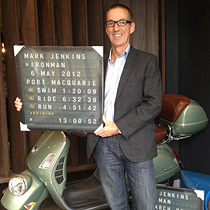 The poster is on my bedroom door and I've already cleared a space for the clock on my very busy wall. I love your british flag theme. I'm a big fan of anything British (particularly the many accents). I've been looking on your website to see what other things I could do. You really have some great ideas there. 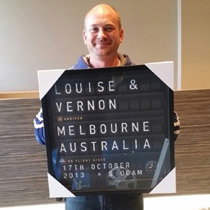 The clock is huge and the quality is amazing. And you did it all so quickly! Many many thanks .